A warm welcome awaits you at The Manor House, part of which dates back to the 17th Century. The area is an ideal base for those wishing to explore the Yorkshire Dales and James Herriot country, with the lovely city of York and delightful town of Harrogate within an hours drive. The property stands in beautiful south facing grounds, with a terrace for your enjoyment in the good weather, and there is ample off street parking. en-suite bathroom with shower over bath. Two deluxe double bedrooms with en-suite shower rooms. These two bedrooms have recently been totally refurbished and can each be booked for single occupancy. All our bedrooms are individually furnished and decorated and have hospitality trays, hair dryers and flat screen televisions. 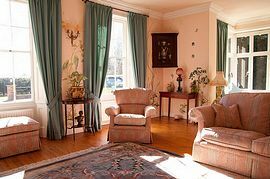 We have a delightful south westerly facing residents lounge for your relaxation during the summer months and a library, which is well stocked with books to suit all tastes, games and jigsaws. Breakfast is served around our large dining room table and for those wishing to enjoy a traditional English breakfast, all our produce is sourced locally. Please note that we are a non smoking establishment and do not take children or pets. 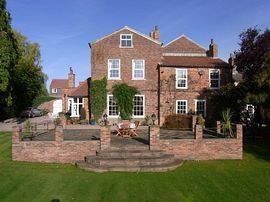 The Manor House is situated on the A684, approximately 0.5 miles from the historic market town of Bedale, (which is within walking distance and offers a good range of amenities) and Northallerton - with the A1(M) less than five minutes drive away. 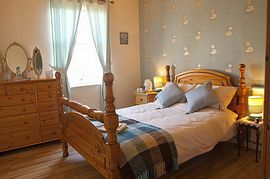 en-suite bathroom is £90.00 for bed & breakfast (£80.00 per night for 2-4 nights) based on double occupancy. 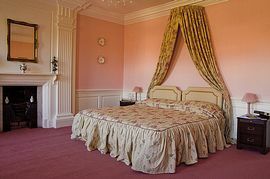 Our two deluxe double bedrooms with en-suite shower rooms are £75.00 for bed & breakfast (£70.00 per night for 2-4) nights based on double occupancy. 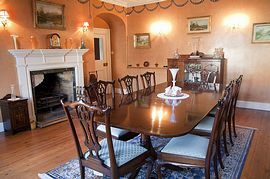 These two bedrooms can each be booked for single occupancy at £50.00 for bed & breakfast (£45.00 per night for 2-4 nights). A 10% discount is available on bookings of 5 nights and longer.